36 years in the business! Not bad going Megadeth, not bad at all! And, with a back catalogue as strong as Dave Mustaine’s you can forgive the man for celebrating with a greatest hits package containing 35 remastered classic ‘Deth tracks. The problem is, Warheads On Foreheads is the 7(!) such compilation and follows Capitol Punishment: The Megadeth Years (2000), Still Alive… and Well? (2002), Greatest Hits: Back to the Start (2005), Warchest (2007), Anthology: Set the World Afire (2008) and Icon (2014). We’re blatantly already drowning in Megadeth best-of’s so why the shitting hell would we need another one? To be fair, this ‘new’ collection is their best yet, carefully curated and lovingly assembled and home to some of the finest metal (thrash and straight up heavy) the world has ever heard. After all, when you can sharpen up the likes of “Rattlehead”, “Wake Up Dead”, “Set The World Afire”, “Holy Wars…The Punishment Due”, “Hangar 18”, “Tornado Of Souls”, “Skin O’ My Teeth”, “Symphony Of Destruction”, “Sweating Bullets”, “Train Of Consequences”, “Reckoning Day”, “Blackmail The Universe”, “Head Crusher”, “The Threat Is Real” and “Dystopia” and send them back out into the world, fierier than ever, you’d be a fool not too! On the flip side, most if us have already purchased and re-purchased these songs umpteen times via previous remastered releases which means there’s no real reason to pick this up now. 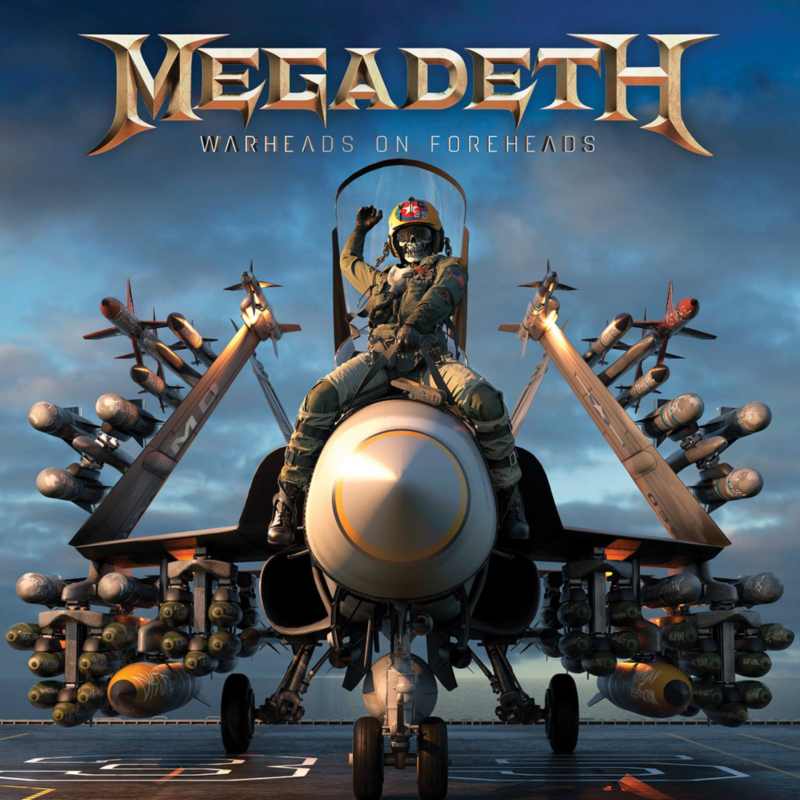 Warheads On Foreheads is utterly essential on one hand, completely unnecessary on the other; where you stand will depend on whether your shelf can take even more of the same Megadeth tracks. Completists will, of course, lap it up. HARLOTT Brace For EXTINCTION On New Album! Are You Ready For Uncivil War? There ain't nuthin' civil about this thrash supergroup!